Citi Executive AAdvantage Card 75K Sign-Up Bonus — Is It Worth It? 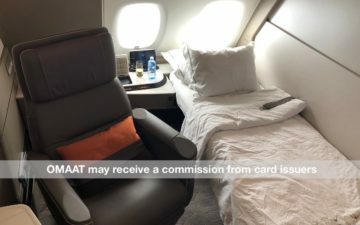 The single best credit card sign-up bonus of last year was on the Citi AAdvantage Executive World Elite Mastercard, which at the time offered a sign-up bonus of 100,000 AAdvantage miles. That was a hot bonus, and once it was discontinued we saw the offer more or less cut in half. I’d be surprised if we saw that bonus again as a publicly available offer anytime soon, for what it’s worth. That being said, for the past couple of weeks we’ve seen the offer on this card increased quite nicely. For a limited time, the Citi AAdvantage Executive World Elite Mastercard is offering a sign-up bonus of 75,000 AAdvantage miles after spending $7,500 in purchases within the first three months of account opening. Personally I value American miles at ~1.8 cents each. So to me the 75,000 AAdvantage miles are worth $1,350. Those benefits will have differing value depending on the type of consumer you are. That being said, focusing just on the sign-up bonus itself, you’re earning 75,000 AAdvantage miles and paying a $450 annual fee. Using the value of 1.8 cents per American mile, that’s the equivalent of a sign-up bonus I value at ~$900 ($1,350 worth of miles minus the $450 annual fee). That’s a huge sign-up bonus. 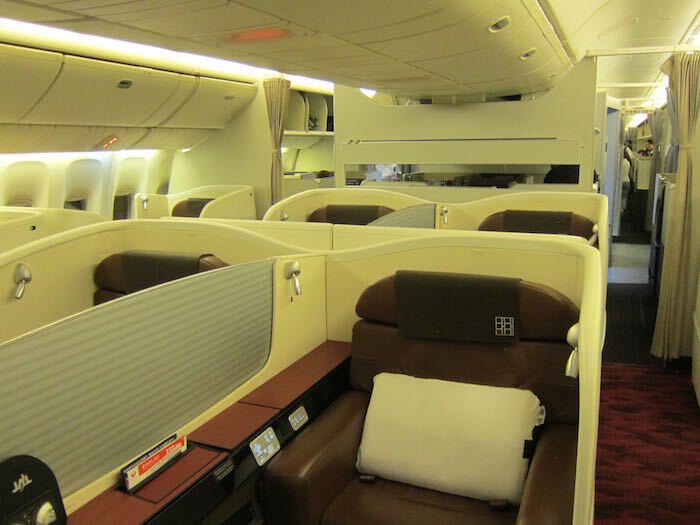 That sign-up bonus is more than enough for a one-way ticket in first class to Asia on Cathay Pacific or Japan Airlines, which is a spectacular use of miles. American Airlines AAdvantage® bonus miles are not available if you have had a Citi® / AAdvantage® Executive World Elite™ Card opened or closed in the past 18 months. This is worth keeping in mind if you’re someone who has recently signed up for or is eyeing the Citi Prestige® Card or Citi Premier℠ Card. American AAdvantage miles continue to be one of the most valuable mileage currencies out there, and the sign-up bonus on the Citi AAdvantage Executive World Elite Mastercard is arguably the best sign-up bonus out there offering those miles. Assuming you can complete the minimum spend, I think picking up this card is a no brainer. when does the offer expire? thx. Did Citi change their policies regarding the 18 month eligibility? When the 100k offer was around, people got approved multiple times for the same card. During Citi’s Q2 earnings call yesterday, it was mentioned that the credit card business was under-performing and that increased marketing was planned in this quarter. This may be the “first shot” in that effort. I think I’d hold off. I remember some speculation on FT and a few blogs that suggested that Citi’s larger purchases of AAdvantage miles from American are delivered in bursts. The story goes that the last burst is what led to the availability of 100,000-mile offers last summer, and that the next larger burst is coming in 2016. Take this information with a very large grain of salt, though. I still think the Prestige makes more sense for AA elites than the Exec since the Exec basically just gives you sorta-kinda half-Gold status and that’s about it . . . other than the 10K EQMs for $40K in spending. Actual Admirals Club “membership” as opposed to mere “access” doesn’t do it for me especially given the $250 difference in the net price of the two cards. I’ve had success navigating around the 18 month requirement for the AA Citi Platinum Select card as I got two of them (both personal) in an 11 month cycle. I think as long as you are approved for the card and meet the spend requirement they will give you the miles. I wasn’t sure my 50K bonus would post when I got a second Platinum Select card in 11 months but as soon as I met the spend requirement I got the bonus. @Jeff, you’re wrong on that. Citi will abide by whatever is in the terms of the card. Your card must not have had that wording. If you apply for this card after having one last year, you will not get the bonus. There was previously a version that did not have that 18 month language, and *that* version you could get multiple times. @Lisa is right on this one, based on my experience. I got the $10K/100Kmi card last year in September, finished it, and got another one in October. This was right around the time that Citi started applying the 18-month rule to the Executive cards, unbeknownst to me. They approved me for the card, I finished the spending, and… nothing. When I called to ask about the bonus, they explained that there wasn’t one because I had received one in the past 18 months. American AAdvantage miles has been the most valuable mileage currency for last 3 years. There´s nothing better out there now. Regarding the “limited time” language, I remember a while back the regular Citi AA cards had a “limited time” bonus of 50K miles for $3K in 3 months, but that ended up staying around for months. I wonder if this is really limited, or if this is going to be the standard offer for a while. @ Brian L. — Either is certainly possible. This is a pretty big bonus, so I wouldn’t be surprised if it doesn’t stick around that long. On the other hand, also expect it to be around for more than a week or so. I have has the normal Citi AAdvantage card and earned 50K miles and thts was upgrade to World Elite. Can I apply for this Executive and will i get the bonus?